AiAiAi TMA-2 MFG4 review: Are USB Type-C headphones any good yet? With the TMA-2 MFG4, AiAiAi has released the first set of USB Type-C headphones that actually work well. It’s surprising how bad this category has been since the Pixel 2 ditched the headphone jack — it’s been a train wreck so far. Who are the AiAiAi TMA-2 MFG4 for? Current Android phone users will appreciate the ability to listen to music without a proprietary dongle. If you want to use your headphones with your laptop, owners of brand-new laptops will be able to use these without any fuss or apps. Tinkerers will love the ability to swap out parts and experiment with the headphones. 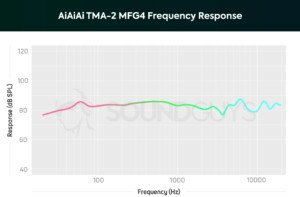 What is the AiAiAi TMA-2 MFG4? In short, the AiAiAi TMA-2 MFG4 is the very first Made For Google set of on-ear USB Type-C headphones. They’re an amalgamation of interchangeable parts for the AiAiAi TMA-2 series, comprising of the standard headband, the S01 speaker units, the E01 earpads, and the C60 USB Type-C to 3.5mm cable. If you want to add or swap out parts for these headphones, you can do that without a second thought, as these are completely modular by design. You can completely take apart the TMA-2 MFG4 and swap out components at a whim. If you’re unsatisfied by any part of the headphones — or just a little rough with your peripherals — you can repair or replace any component without losing the whole unit. That’s a pretty incredible value right there, considering most headphones are trashed when the band or cable breaks. This is especially good because the housings are made of inexpensive plastics, so they may not take many tumbles before giving up the ghost. By offering an in-cable DAC, the headphones don’t need anything but a standard USB Type-C port to plug into. Of course, this isn’t always a given on devices, so you may be in for a stupid surprise depending on your device — through no fault of the headphones. However, that digital audio processing is a treat if you use the headphones with a modern smartphone. There’s only a very small number of headphones that use the new USB Type-C standard, and none really qualify as “audiophile” cans. Be sure to get a good fit, as the rigid band and on-ear design is tough to get right. The stock setup isn’t exactly to my tastes, as I’m not a fan of on-ear headphones at all. However, these are decent for what they are. The cloth padding snaps into the ear cups, and can be removed for easy cleaning. Additionally the band provides a consistent (but not overpowering) clamping force to keep these things on your head. You may get uncomfortable after an hour and a half like I did, but like every set of on-ear headphones, that’ll vary from person to person. They’re a little on the heavy side compared to models like the JLab Rewind Wireless Retro. How does the cable connect? AiAiAi’s USB Type-C cable terminates in a standard male 3.5mm plug to send an analog signal to the headphones. My biggest gripe with the AiAiAi TMA-2 is their 3.5mm connections. While I’m happy they’re there, I loathe the proprietary system of twisting and locking the connections into place preventing the use of generic components should something break. Being unable to connect cables to your headphones due to a tiny plastic thing breaking defeats the entire purpose of having a removable cable, so it’s more than a little frustrating. How do the AiAiAi TMA-2 MFG4 sound? 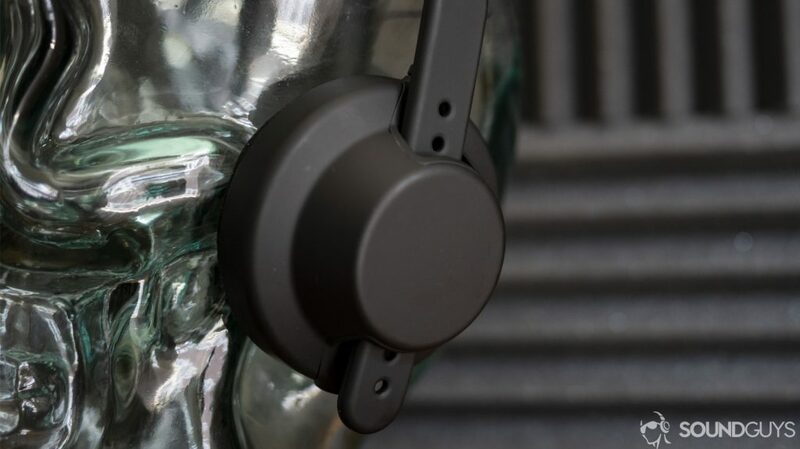 On-ear headphones are popular because they’re usually pretty comfortable, but they come with their own drawbacks inherent to the design — namely, they don’t isolate all that well. While the AiAiAi TMA-2 MFG4 sound great when everything’s perfect, it’s not always possible to get that result. If you manage to get a perfect fit, the headphones sound pretty nice, with only a few foibles. No notes fall more than 10dB below others, which is surprisingly decent for any set of headphones. This allows you some latitude to equalize your tunes and hear mixes the way they were intended to sound. Everything’s peachy with a good fit. A bad fit puts bass emphasis (pink) in the basement. Mids see an ever-so-slight emphasis over all other notes, but that’s really not a bad thing. It adds a little more punch to vocal features important to immersing yourself. Language will sound “off” or strange if you can’t hear the initial impact of a plosive, for example. A response like the TMA-2’s lends itself well to vocal-heavy mixes, much like the mother of the MP3: Tom’s Diner by Suzanne Vega. Should you buy the AiAiAi TMA-2 MFG4? If you’re in a position where USB Type-C audio is preferable to Bluetooth, these are currently the headphones to get. They aren’t amazing, they cost $150, and they don’t offer any killer features. However, they work well — without an app — on both Android and Windows. That’s enough to be the top of the USB Type-C heap for 2018. Underneath everything else, the headphones are still pretty standard plastic cans. However, they aren’t better than other headphones at the same price. They absolutely have their audience, but for under $100 you can get some damn decent options. USB Type-C may yet provide a killer audio product, but the TMA-2 isn’t enough to justify the death of the headphone jack.